Practically Perfect, Visit Perth With a Private Tour It's Awesome! Practically perfect, visit Perth with a Private Tour it's awesome! This laid-back city with its fabulous sunny weather, relaxed, loose lifestyle and beautiful beaches is a cool place to visit, and a must see on your holiday in Australia. From Perth, you can take the short trip to Bali and other Indonesian destinations as it is the hub for many of these tours. Perth has big city attractions and lots to do for tourists on its many custom private tours. Draped in history, it is a very cosmopolitan city with many cultural activities, bars and nightlight that is second to none. The beaches and parkland in this area of Australia are breathtakingly beautiful, and the famous Rottnest Island Tour on Freemantle will not disappoint any traveller. 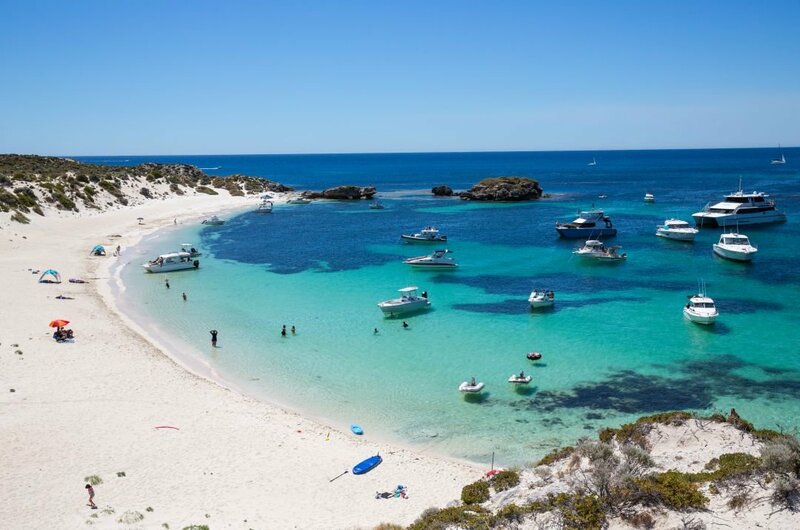 Located around 18 kilometres off the coast of Western Australia near Fremantle and Perth Rottnest Island Tours, or “Rotto” as the locals call it, is a number of island getaways with 60 picturesque beaches and bays. As Rottnest Island is a car-free zone book your guided tour and hop on your bike to see the island at its best. Other activities on the island include golf, swimming, tennis, snorkelling, fishing, swimming, diving and kayaking. The ferry service is daily but if you like, why not stay overnight? There are great ranges of accommodations available. 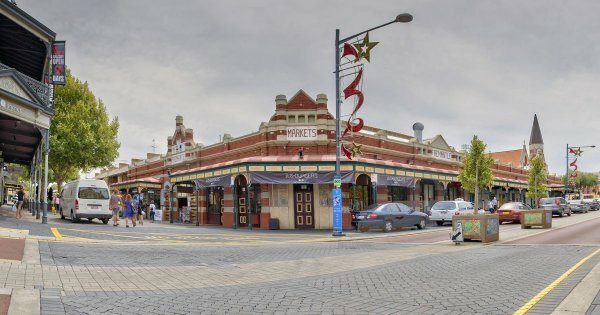 Perth's Best Top Ten Things to See and Do. 1 Off the coast of Western Australia near Fremantle Rottnest Island or “Rotto” as the locals call it, is a number of island getaways. 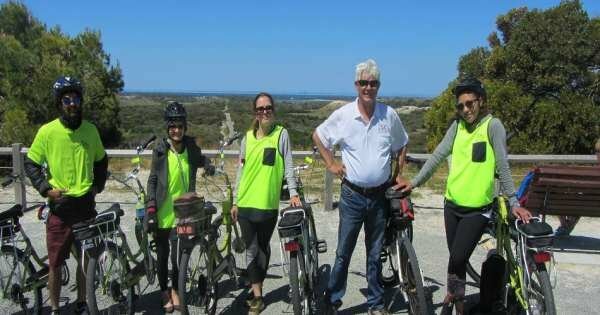 As Rottnest Island is a car-free zone book your guided bike tour and see the island at its best. Activities on the island include golf, swimming, snorkelling, fishing, diving and kayaking. The ferry service is daily, but if you like why not stay overnight, there are great accommodations available. 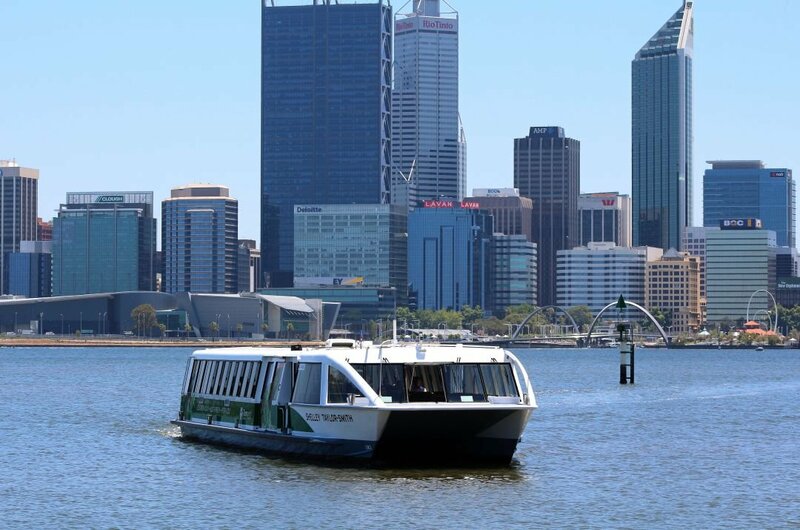 2 See some of Perth’s top tourist sights from the water on a leisurely River cruise. As you depart the city centre, admire the riverfront attractions like the Kings Park and Bell Tower, sail past the pretty suburbs to reach Fremantle. Head out to further up the river and connect with the Indian Ocean. Many private tours provide refreshments including some wine tasting; these tours are great fun for all the family. 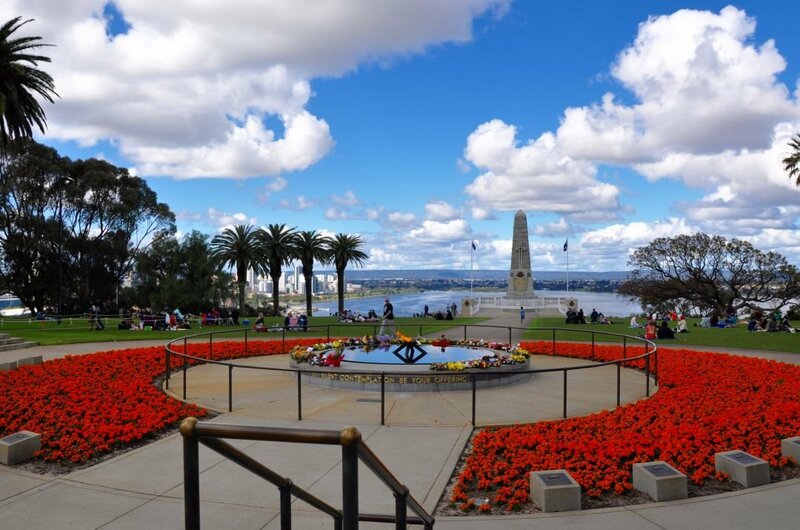 3 Kings Park and Gardens is the gem in Perth Cities crown and one of the biggest parks in Australia. Millions of people book guided private tours visit this park every year for cultural, ceremonial and local city events. This beautiful park has lovely walks, and as you had down to the river, you can see the vibrant colour sails of boats on the water. Bring your picnic and spend the day here you won't regret it. 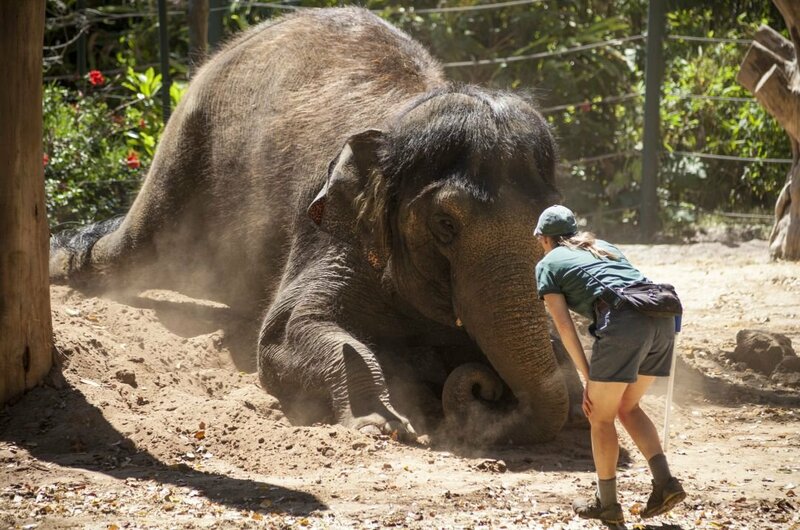 4 Perth Zoo always has a lot of activity going on and lots to see and do on your private guided tour. Visit the animals, or see the zookeepers at work and doing talks with lots of information about both the zoo and all the animals who are treated like family hre so enjoy. The zoo doubles as a waterpark so be prepaired and bring your swimsuit. There is plenty activities for children at the Wild Zone with crafting and water games. 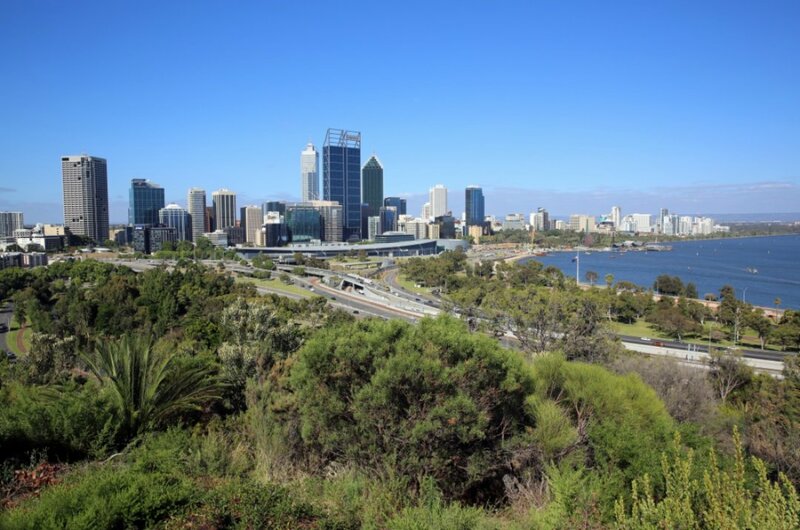 5 Among the best places in Perth for views is Fraser Avenue Lookout. On a city tour of the city, you will be brought to see the amazing views along with the other attractions and monuments along the way to the lookout such as the War Memorial and Botanic Gardens. The photographs opportunities are wonderful but especially at sunset and under the darkness of night with the city lights sparkling like stars below you. 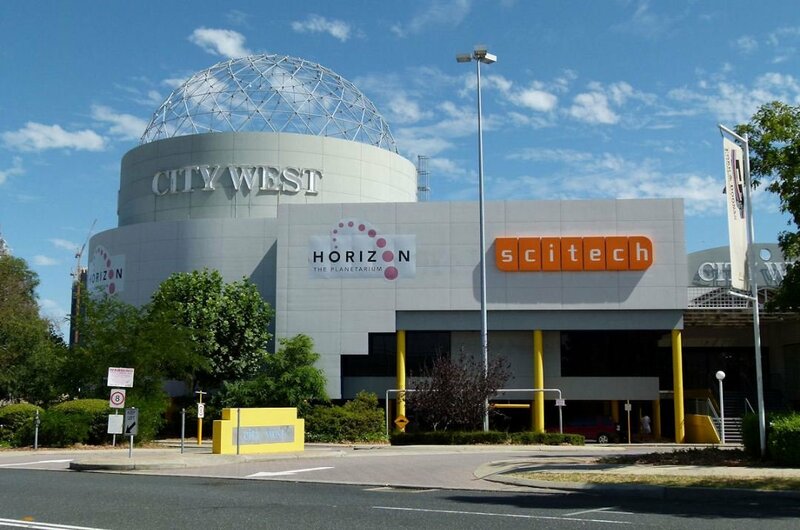 6 On a Private Tour in Scitech see this award winning and world renowned attraction. This interactive museum with its fantastic exhibitions and planetarium in unique and a must do when you are in Perth. The interactive displays are changed regularly as they are designed to educate visitors on technology, science and engineering. The live science shows are hosted by very enthusiastic scientists who love to teach and are alway learning. 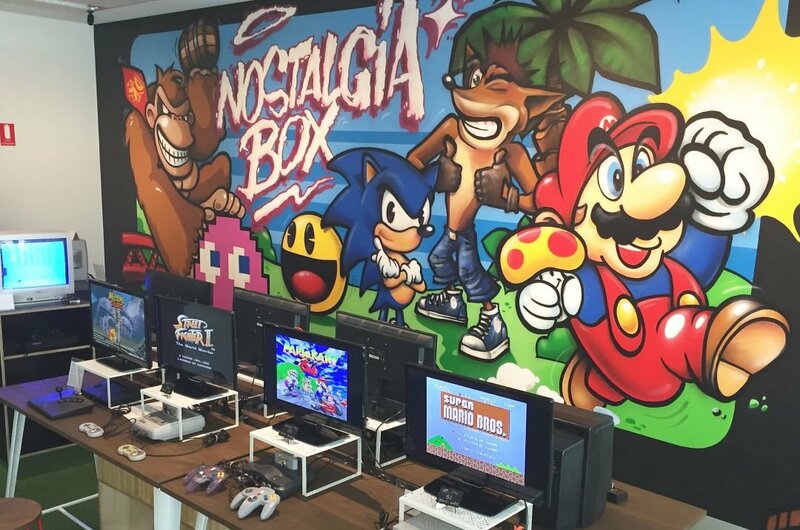 7 The 1st interactive video game console Museum, The Nostalgia Box, is one of Perth’s top Private Tours. Go back in time and remember when video games were only in arcades. This museum will show you the history of gaming at its best. Over 100 consoles are ranging from the 1970's todate, so if you are a gamer, this is a must see for you. The gaming area is great as you can play some of the old class games like Space Invaders and Pong. 8 Book your Perth Guided City Lights Tour and see the great range of cruises available to you. This is the best way to see Perth at it’s best at night, as you sail through the harbour you will be satisfied that you made a great decision in booking one of these tours. 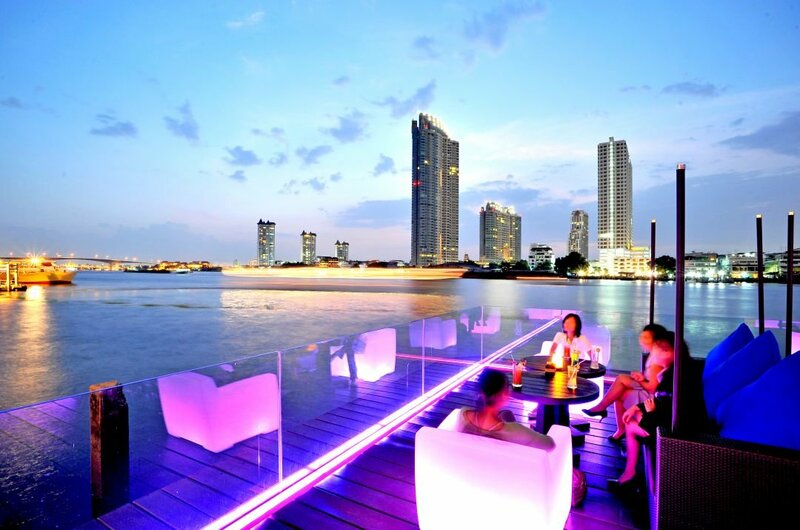 On your Dinner Cruises have a very romantic night and watch the lights of the city twinkle and shine. It’s a sightseeing dream trip and well worth it. 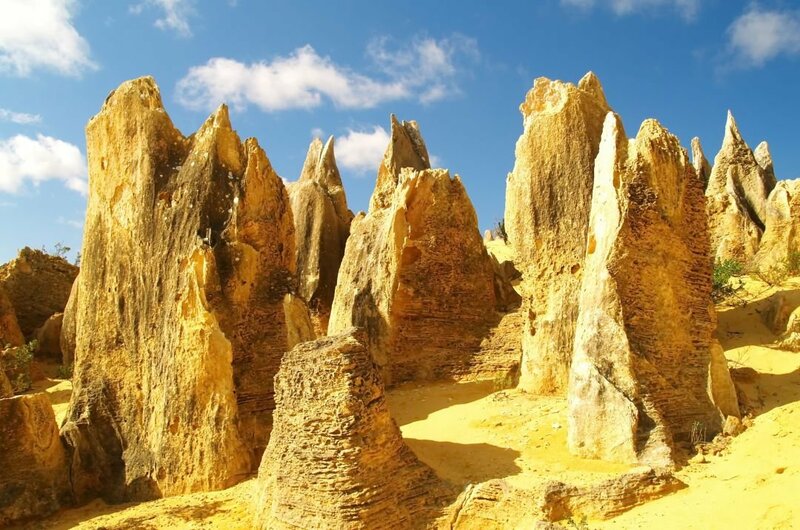 9 The Pinnacles guided private tour is a must do and one of the top trips to do from Perth. Take the short drive northbound and see how you can explore this area. Located within the Nambung National Park these limestone formations are up to and over 4 meters high and they are awesome. These natural wonders of the world are just unparalleled in their uniqueness and beauty. Get your cameras ready and snap away. 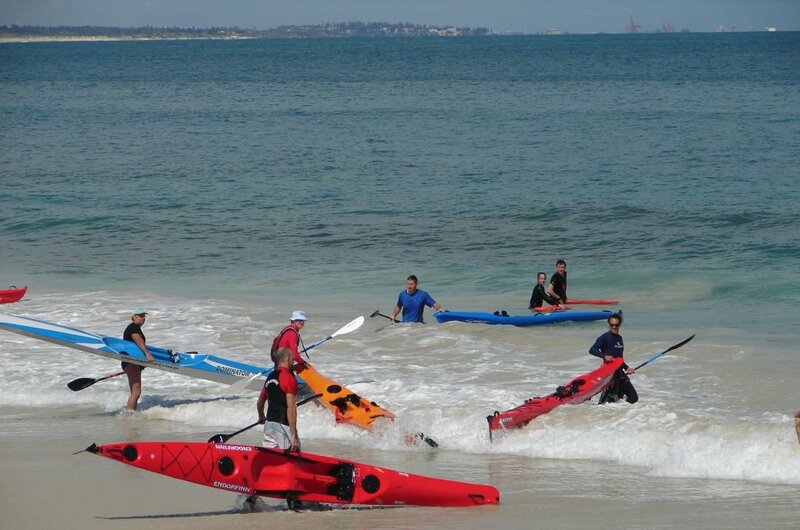 10 Take off on this guided private tour and head out for a full day of kayaking from Perth to Sea Island, Penguin Island and Shoalwater Bay to name but a few, depending on your tour provider. One of the top rated trips to do in Perth and very popular with all tourists. You can snorkel, swim and hike around the island and see nature up close. A full day trip you can have lunch on the go and enjoy the sunshine and fun. The high Season in Perth is from December to February where the weather is warm and dry and good for sightseeing. From September through to November it is usually dry, keep that in mind before you book your Private Tours as it is likely that you will get a better deal depending on your travel dates. The annual Kings Park Wildflowers and Listen Out Festivals and Perth Royal Show happen in September and are always a big draw to holiday makers so book early. You will definitely break any budget you had in mind when visiting Perth its easy to splash money here. $200 per day for both accommodation and food should cover you but remember your tours will be extra. Dormitory beds range from $40–60, and you can get food on the go for $25–30. As with many other holiday destinations you get what you pay for so if your budget is tight stick to it. Book as much as you can prior to your arrival and try to get deals. Australian and New Zealanders do not need a visa to enter however every other nation does so require a visa, ensure your paperwork is in order prior to travelling. The security in and out of Australia is very strict so please note fill in all the documentation correctly and be HONEST as the smallest thing can stop you entry into the country. Be aware of your surroundings constantly, drifting off or loosing your guide could be disastrous. Perth experience's a temperate climate with very mild winters. It has many sunny days in the year. The average temperatures from May to September is around 15 degrees while maybe not perfect for lying in the sun it is good for sightseeing. The summer season, January through to May and October to December however, boasts hot hot hot conditions with temperatures reaching into the 70's so bring your hat and suncream.